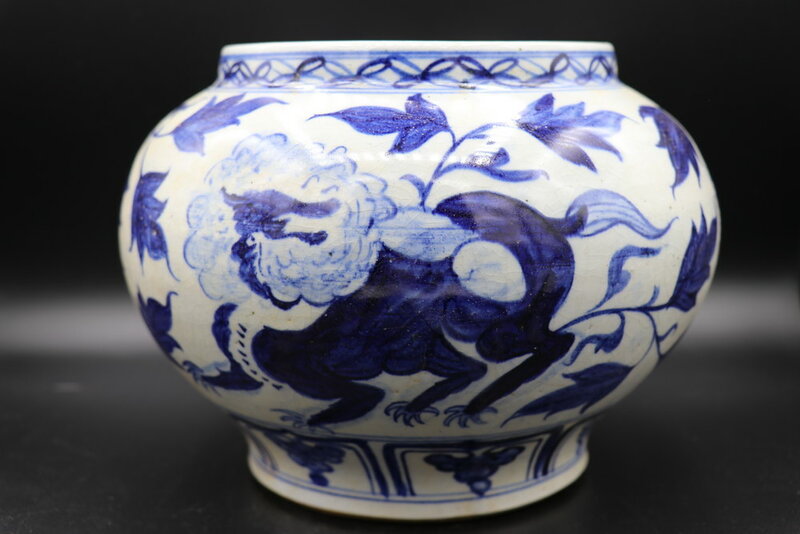 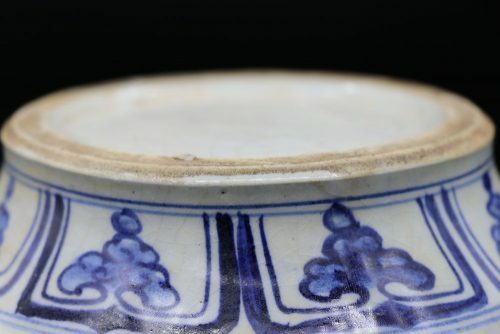 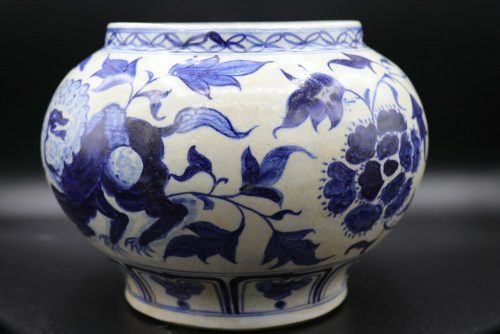 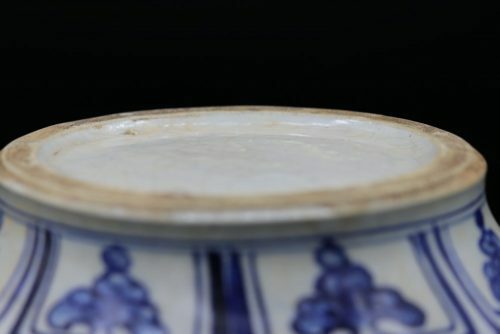 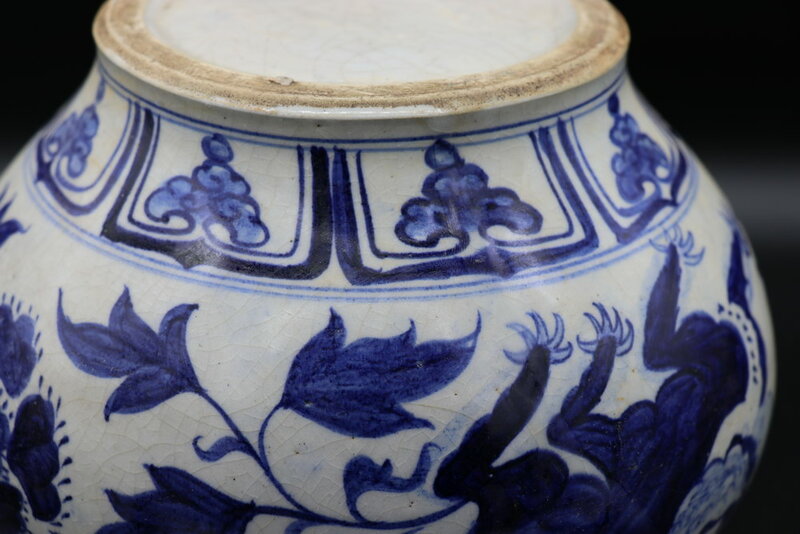 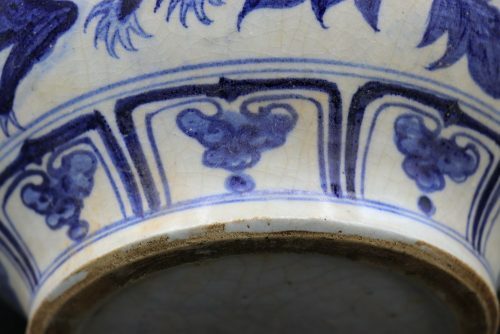 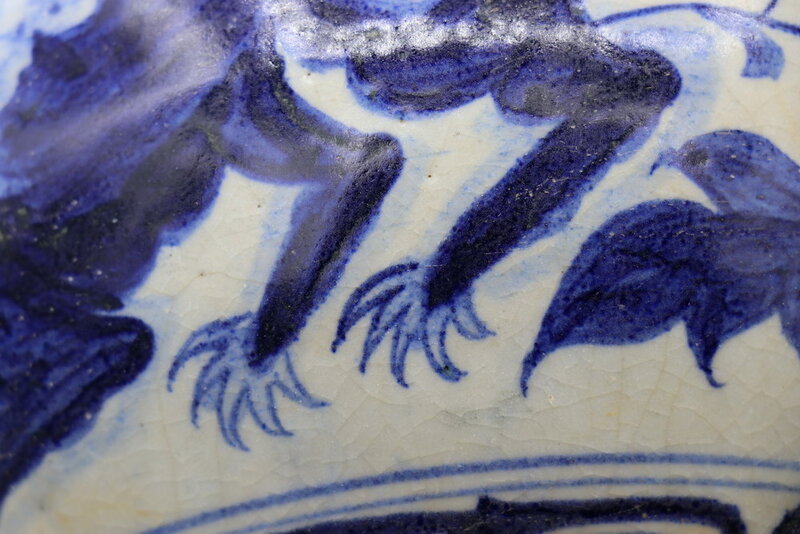 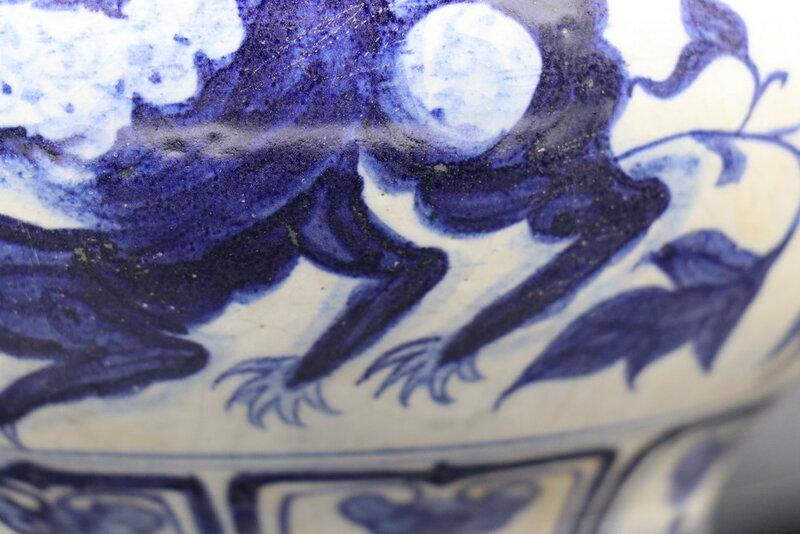 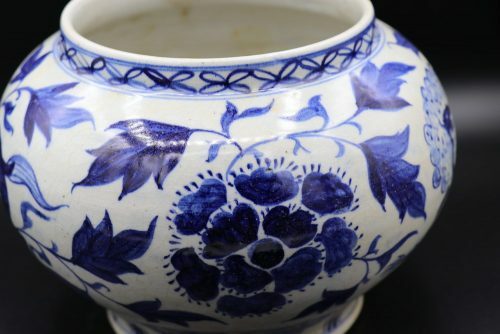 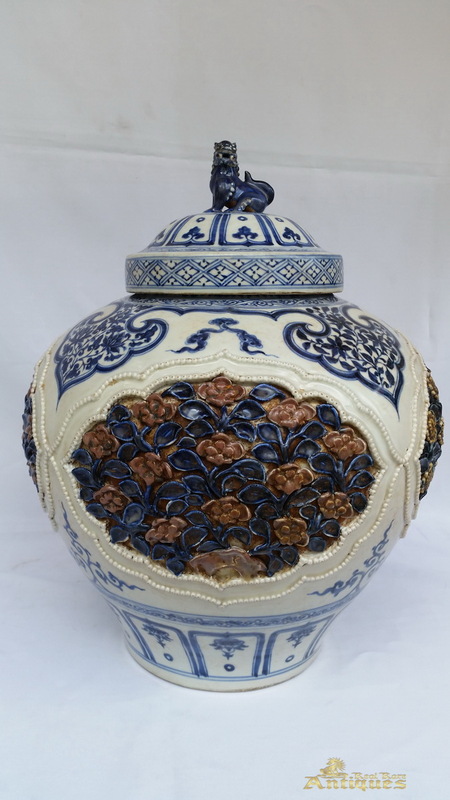 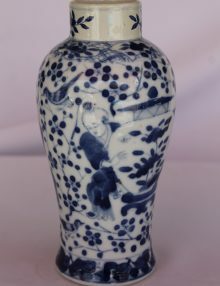 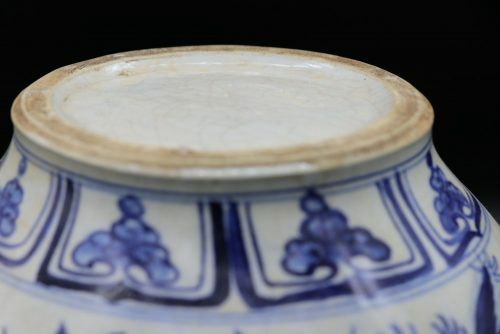 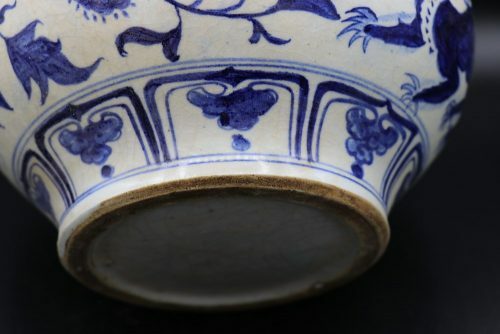 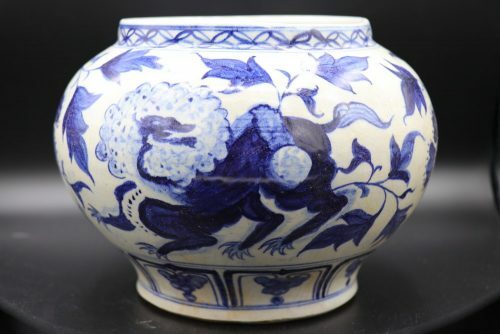 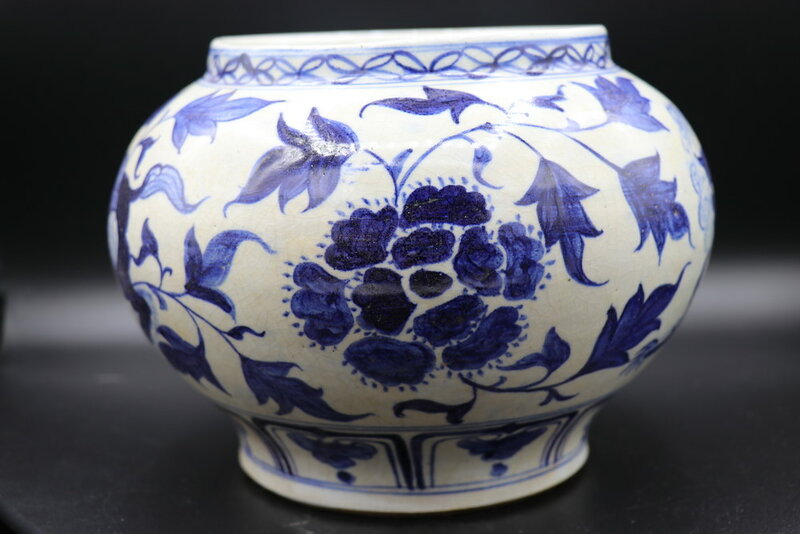 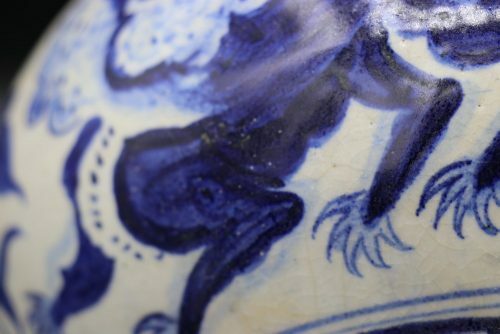 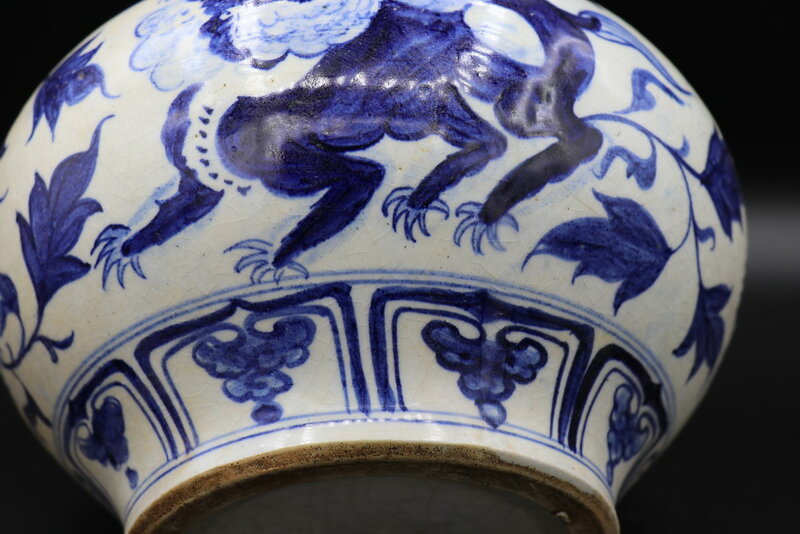 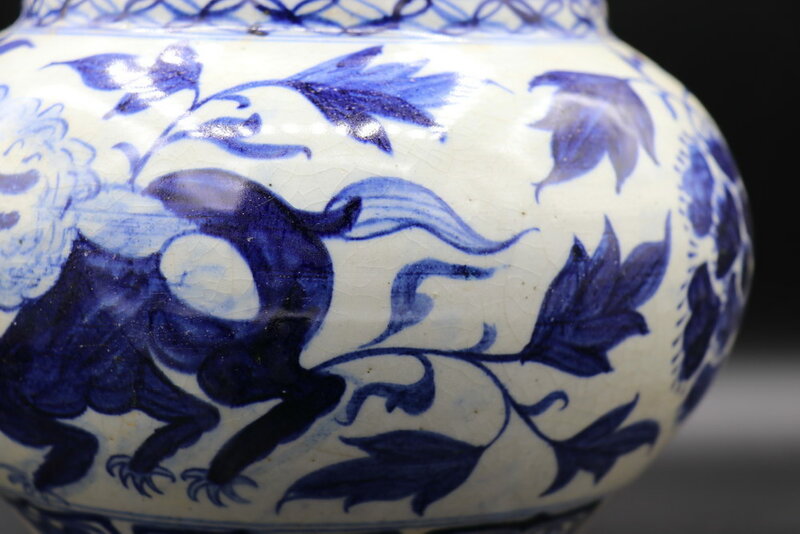 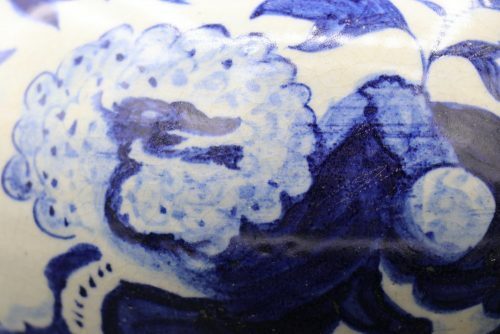 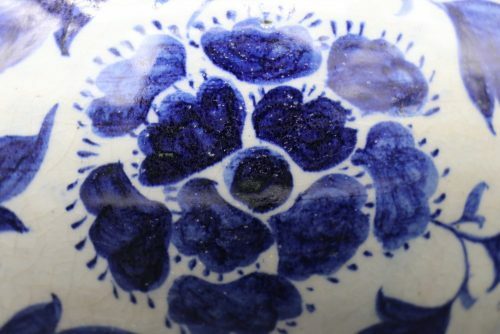 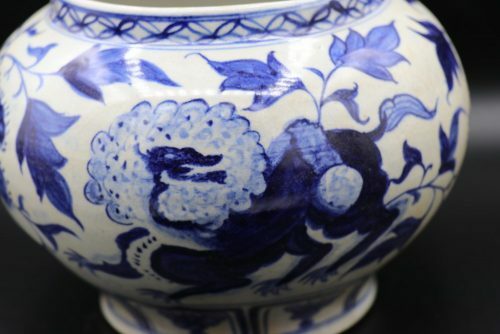 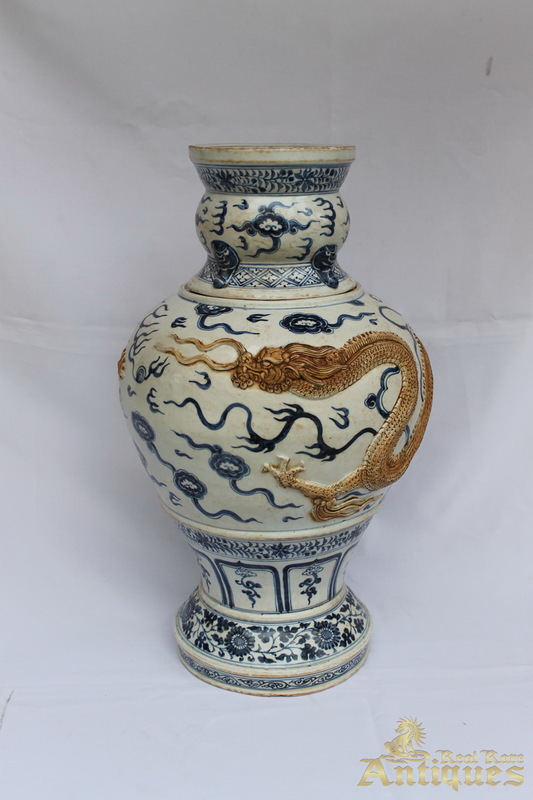 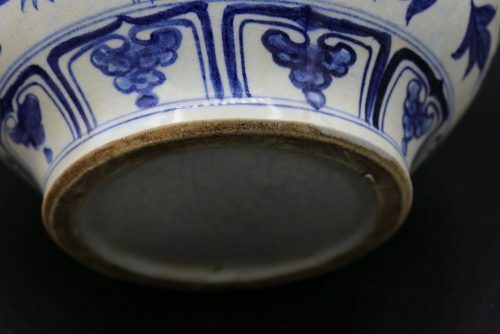 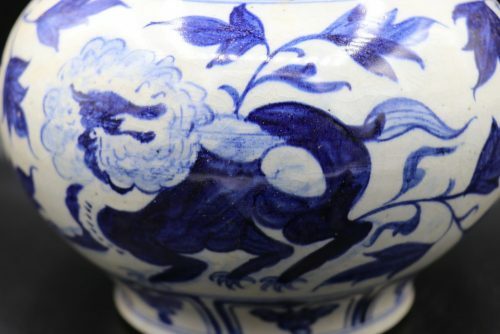 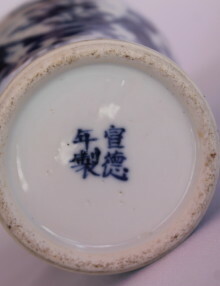 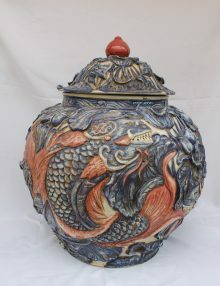 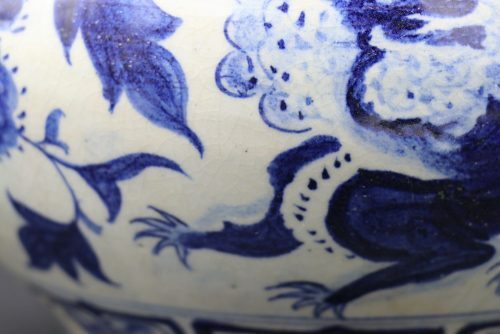 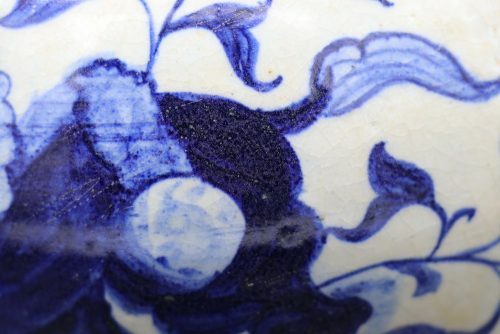 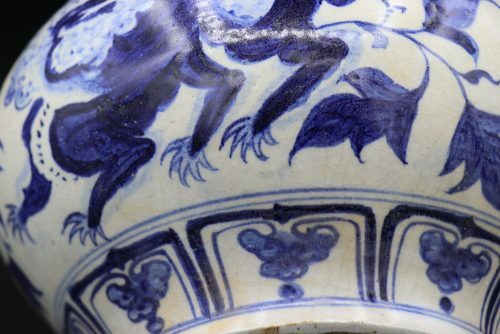 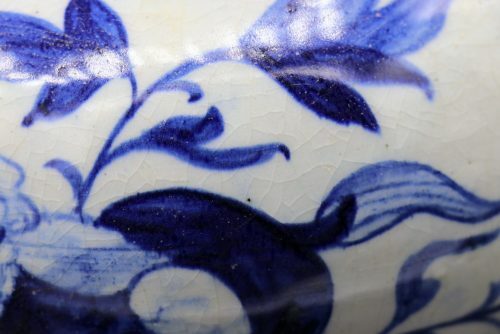 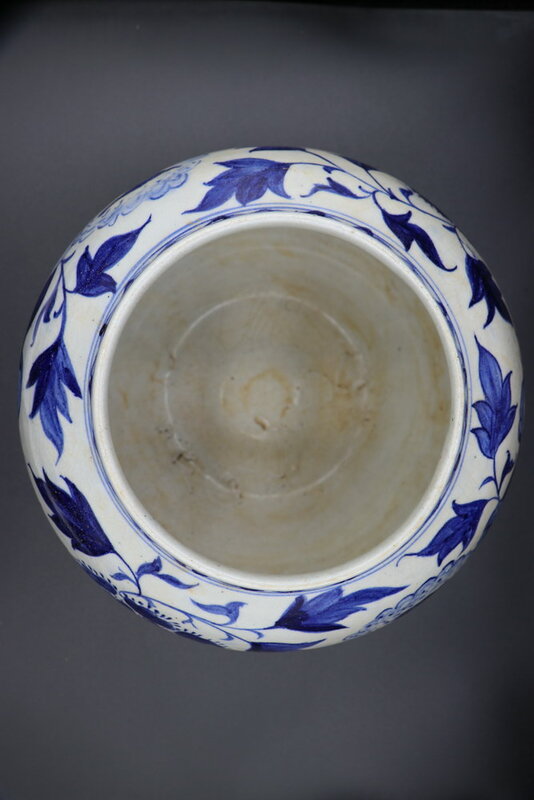 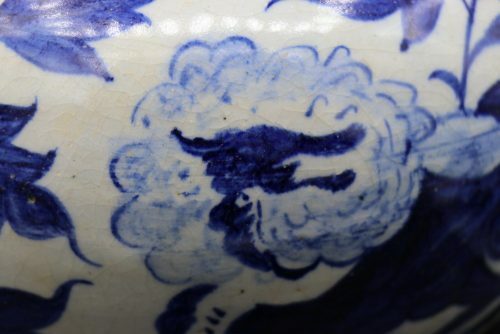 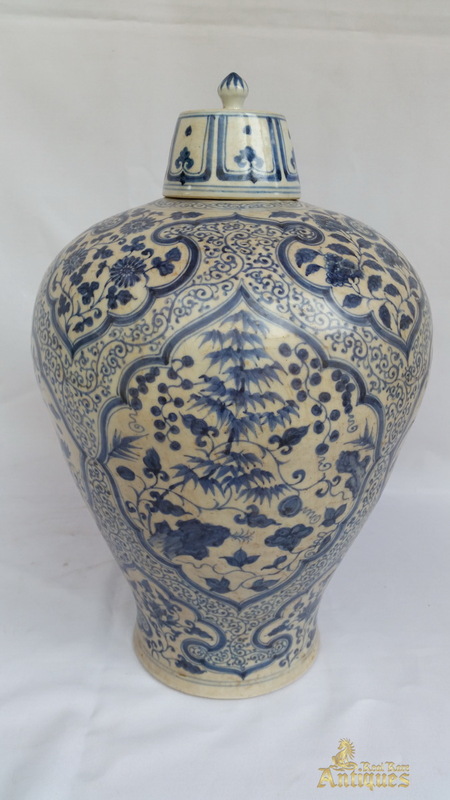 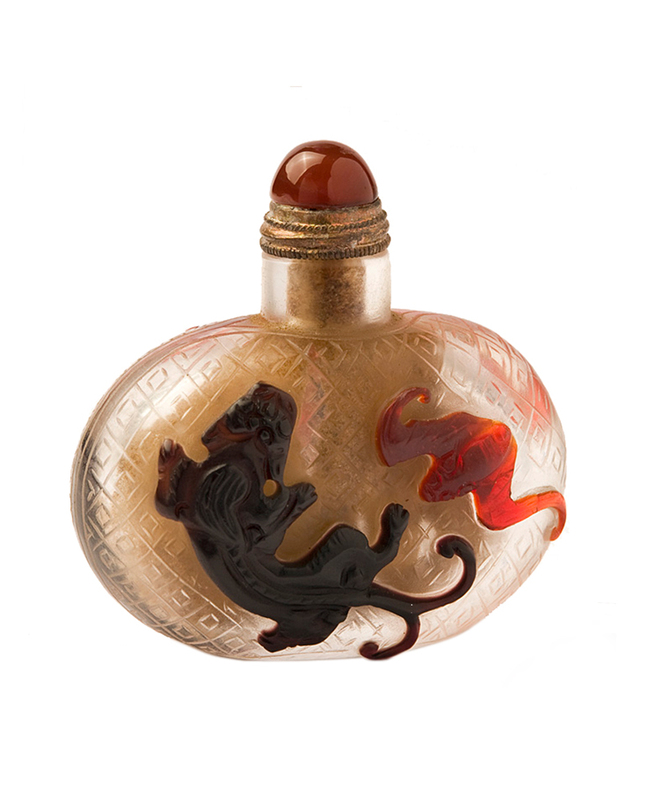 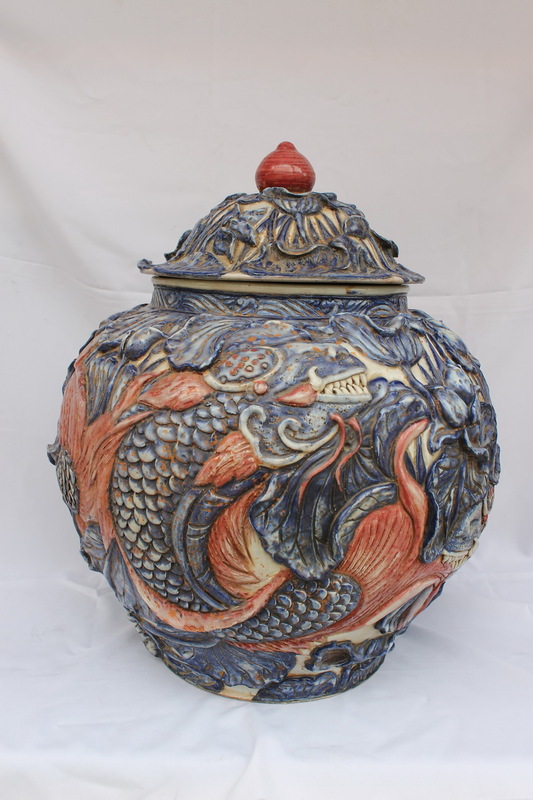 You are looking at a blue and white porcelain Jar from the Ming dynasty, the exterior is painted with lions surrounded with peony blossom and continues leaves, the bottom is glazed. 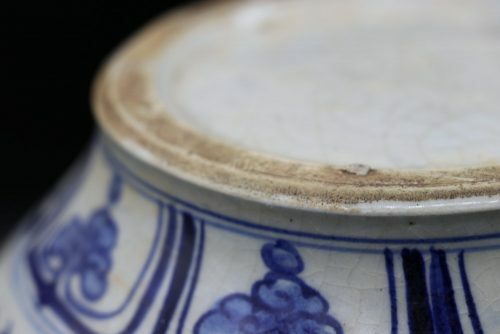 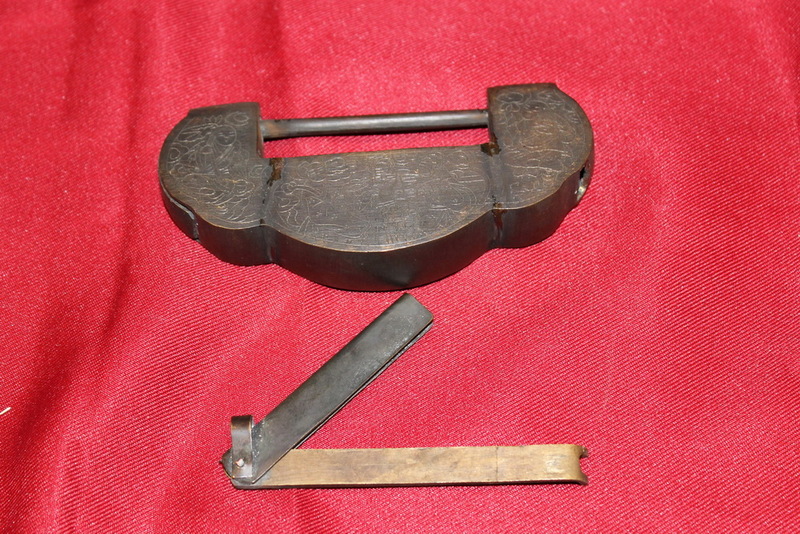 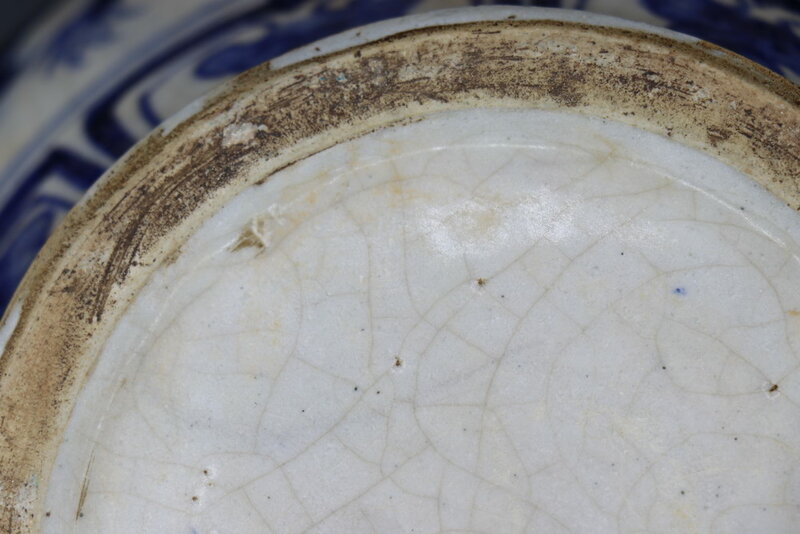 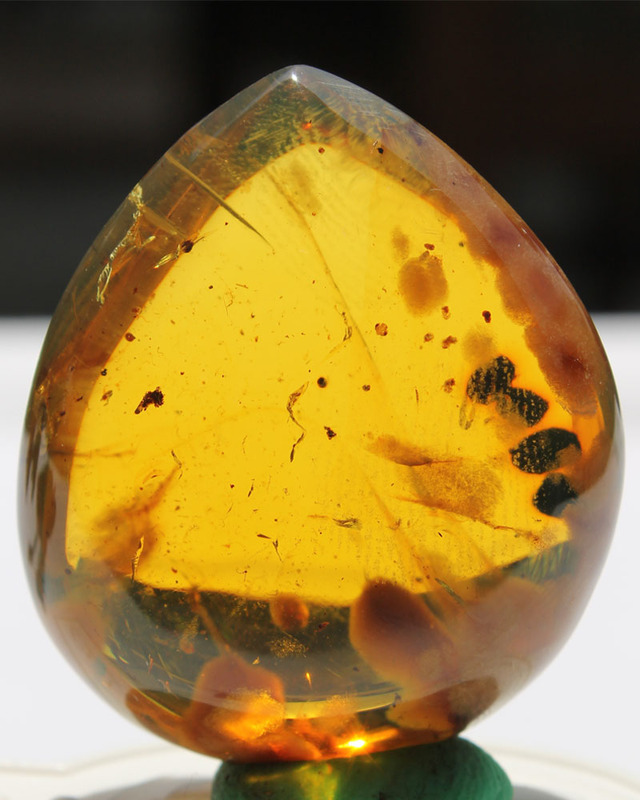 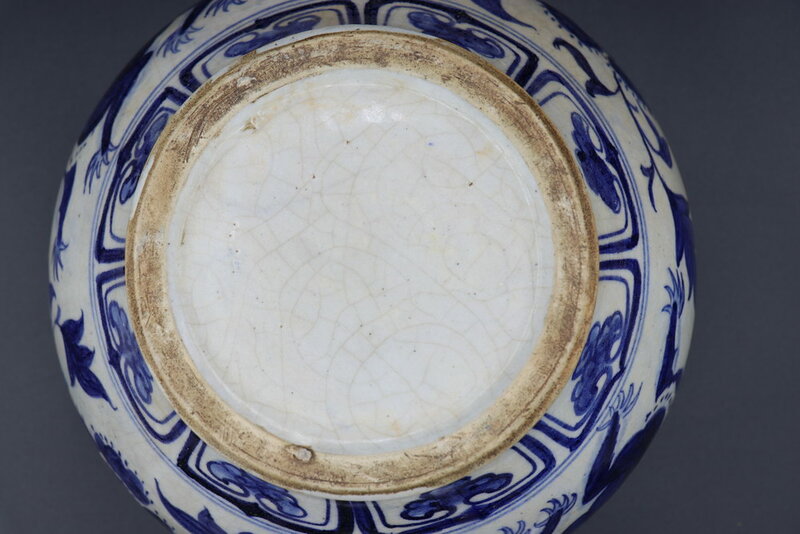 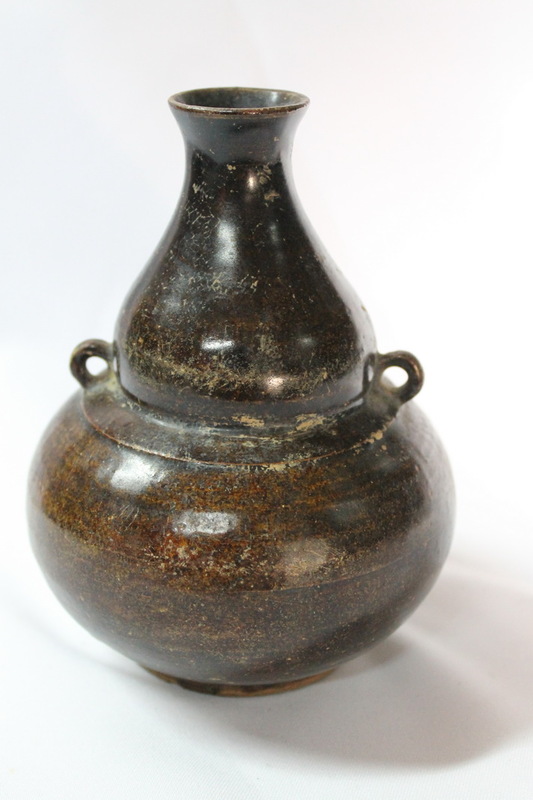 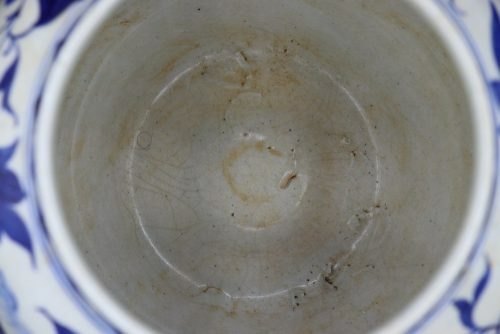 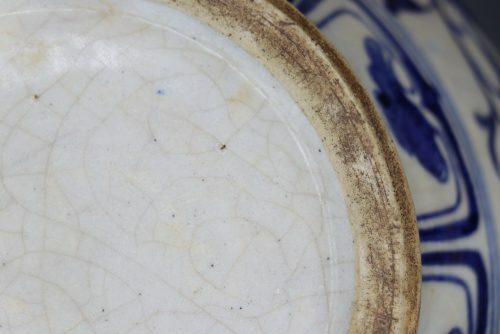 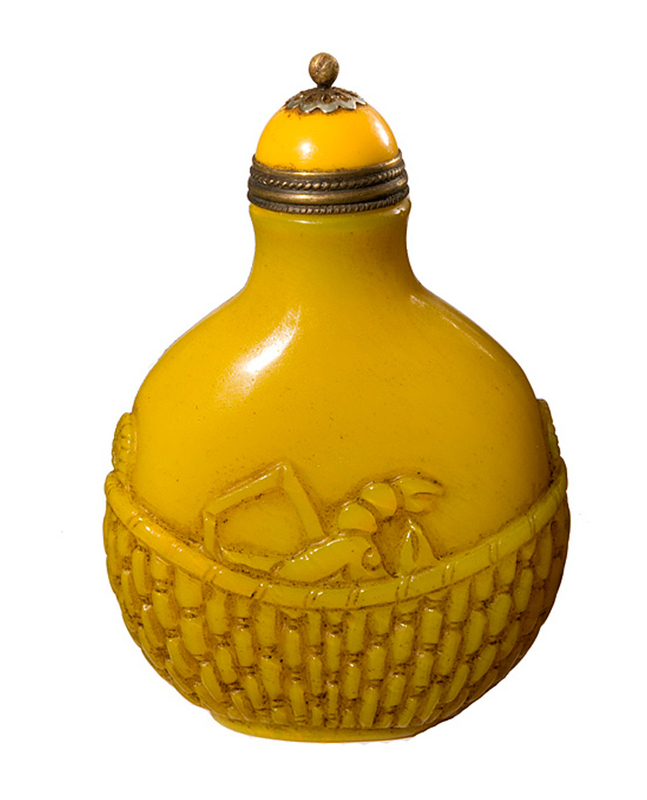 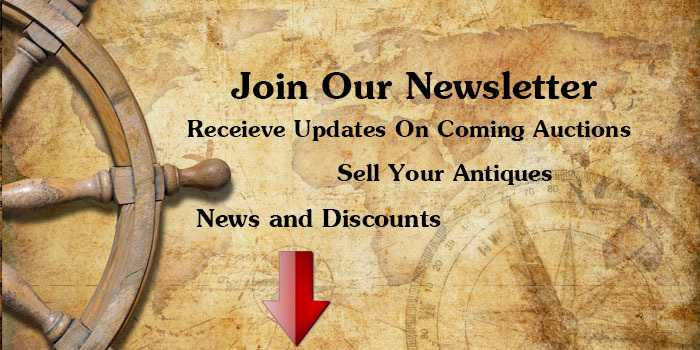 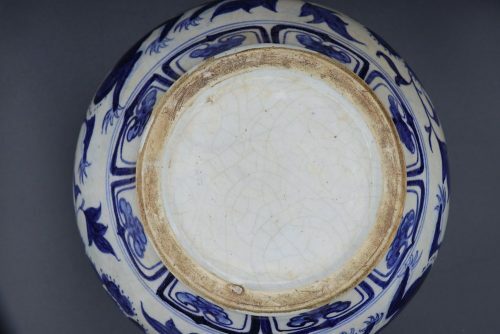 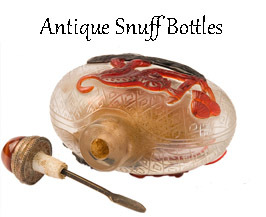 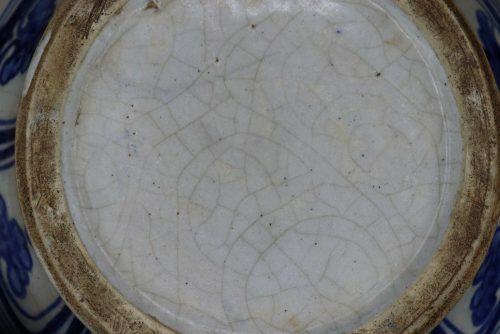 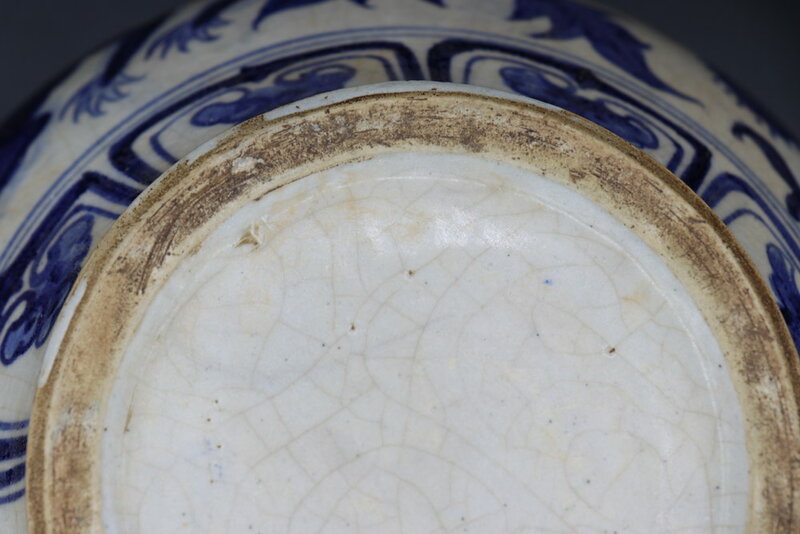 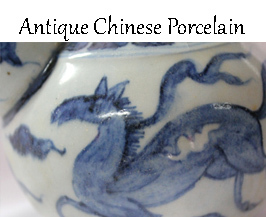 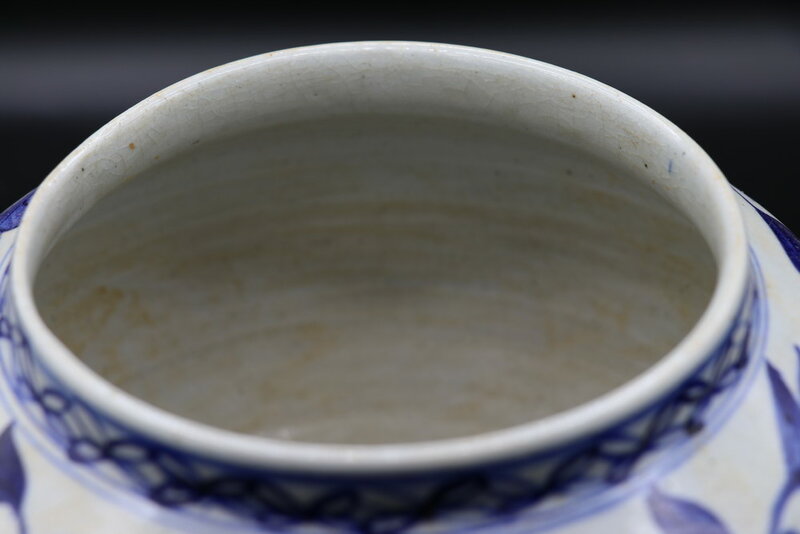 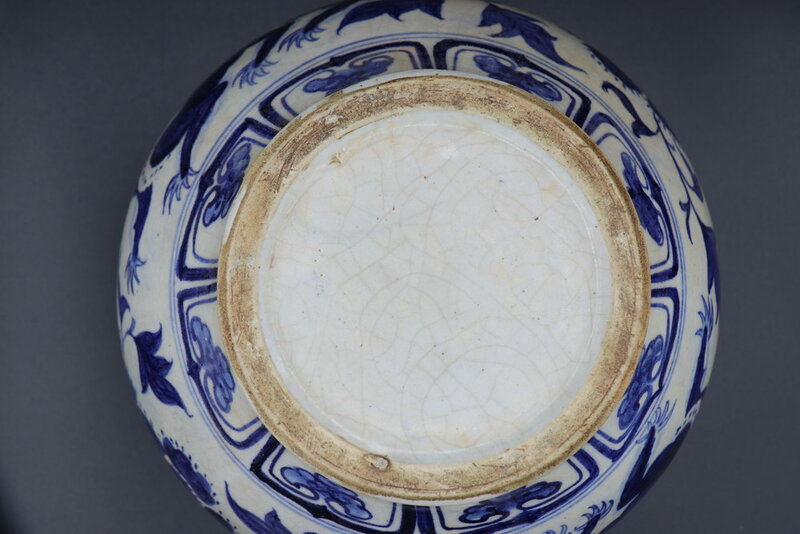 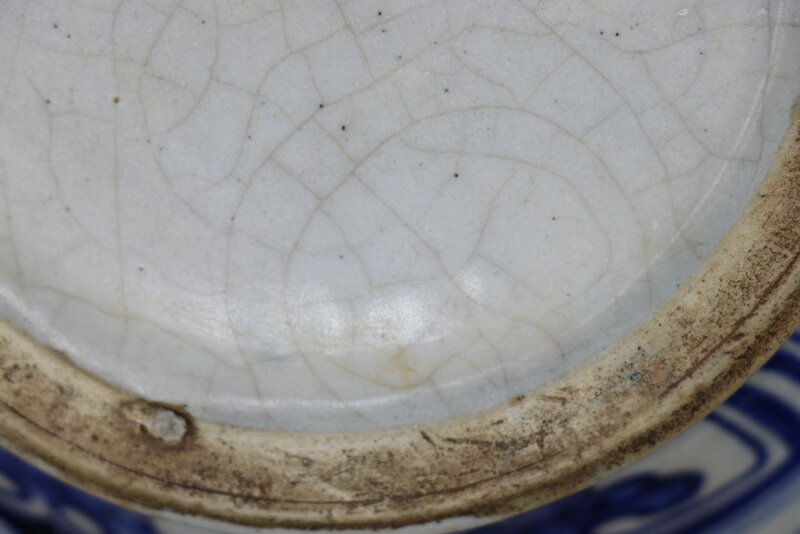 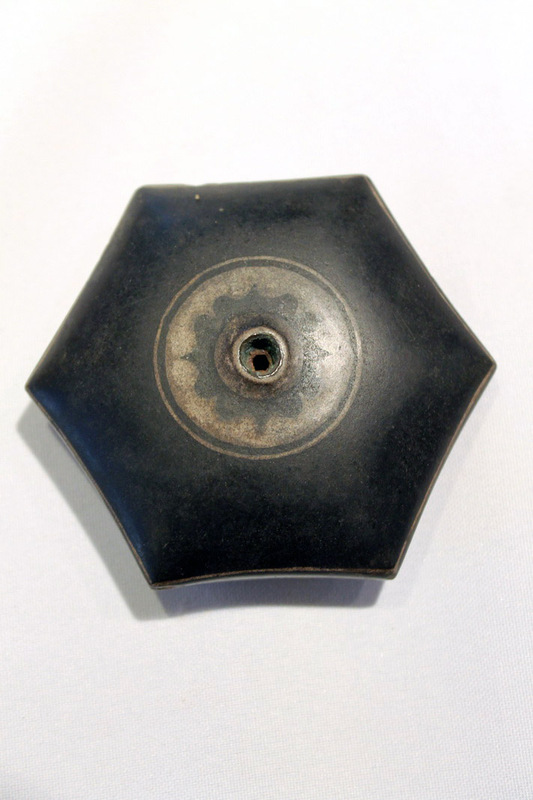 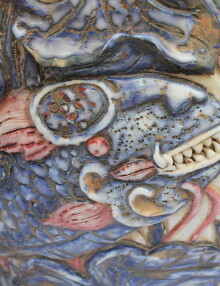 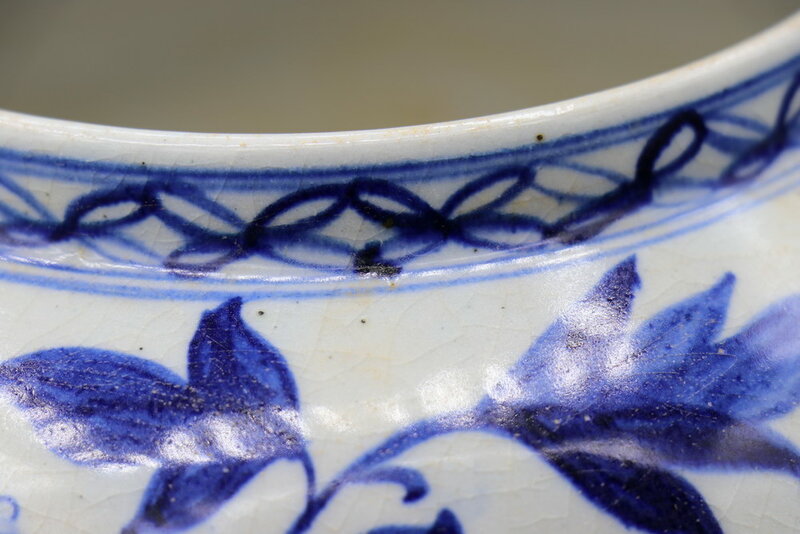 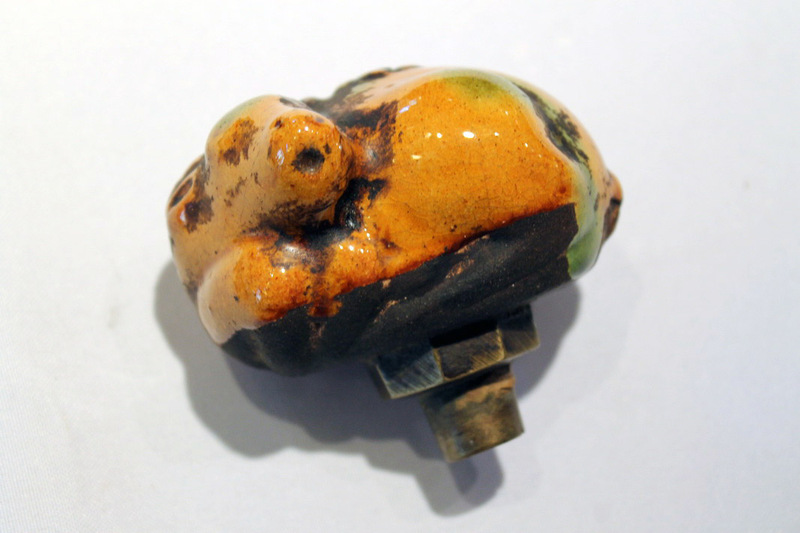 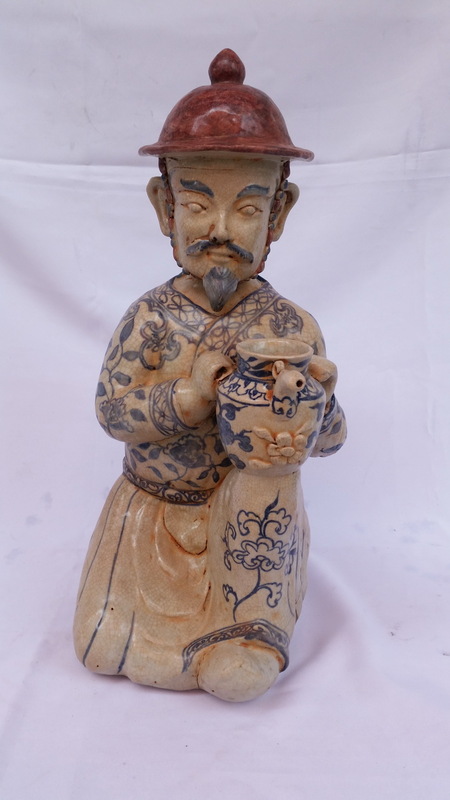 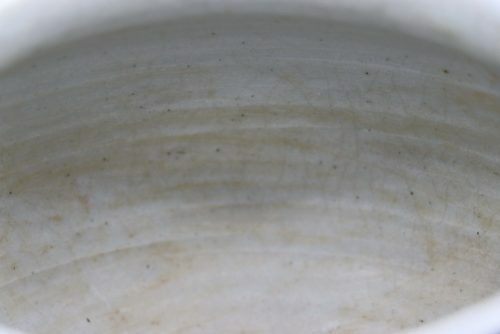 The porcelain shows signs of wear, rust spots and crackles. 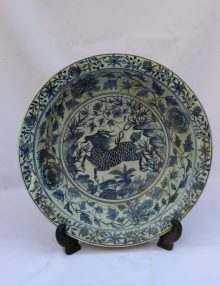 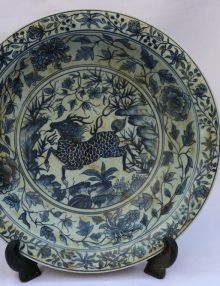 This antique blue and white porcelain plate was finely painted, in the center Qilin surrounded by natural environment, enclosed by a double ring frame, surrounding the inner circle peony blossom alternatively rendered and in profile while the outer rim feature beautiful floral painting surrounding the plate. 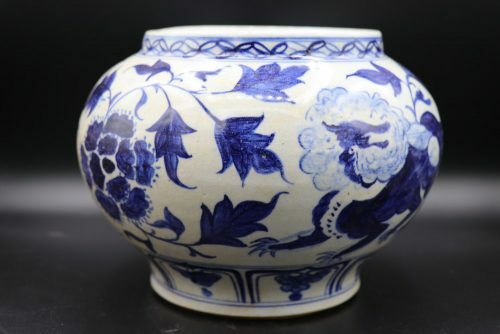 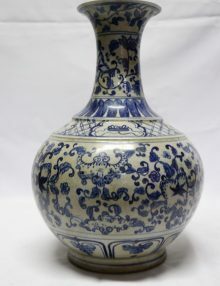 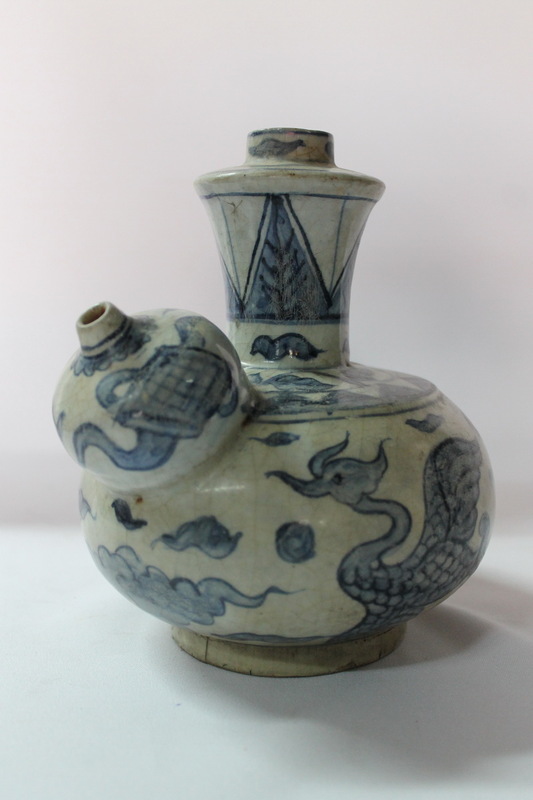 This is a blue and white antique porcelain vase from the middle Ming dynasty, the vase is decorated with interesting floral pattern.